Well…here we are. Another Fitness Friday post and this week, you get a picture! Don’t everyone rush the computer at once or anything, ha-ha! No really – no need to keep scrolling. 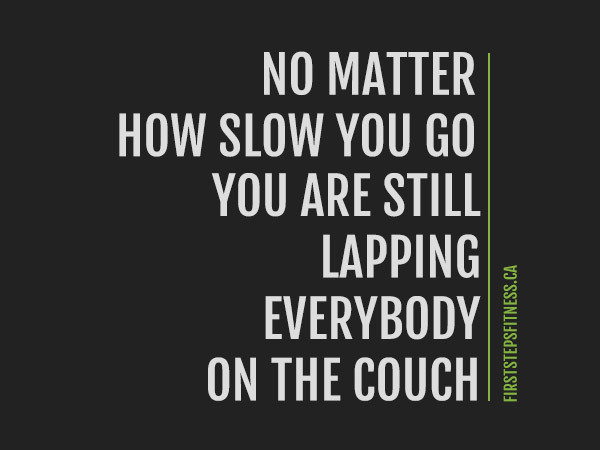 Ironic…because I don’t think I’m THAT slow. Oh wait – is that not the picture you thought it would be? My bad…we’ll get to that one later. When Sunday rolls around, I’ll have hit two months of consistent walking and modified eating habits. I shared earlier in the week that I went to Old Navy last Saturday and was able to buy jeans in a smaller size. It was SUCH a huge win – and definitely not a moment I thought I’d be having only 7 weeks out. I may or may not have have busted moves just like that kid below while I was in the dressing room. Okay – honestly they probably weren’t as good as that kid’s…but still, I was dancing around and trying to text people the news and I had like…next to no cell service and I just wanted to tell people that I’d bought blue jeans that were a size smaller…but none of my text message were going through. So – as promised – and because I’m trying to hold myself to a certain level of transparency here, I do have a picture. Following through with the nature of being transparent, I don’t love this picture. In fact, I’m pretty disappointed with it… I guess mostly because it wasn’t what I thought it would be. I compared my picture from two weeks ago to this one and was really disappointed with how this one looked in comparison. However, I started to think about it and I reminded myself that things don’t happen overnight. I also thought about the difference that your clothing makes – I went from wearing black pants and a tank two weeks ago to wearing gray patterned pants and a t-shirt this time around. I suppose too; the longer I look at this picture I realize that maybe it doesn’t look as awful as I thought it did when I initially looked at it. This is totally a process – and every picture probably isn’t going to turn out looking amazing and fantastic like I think it is. And hey, that’s alright. I’ll get there. 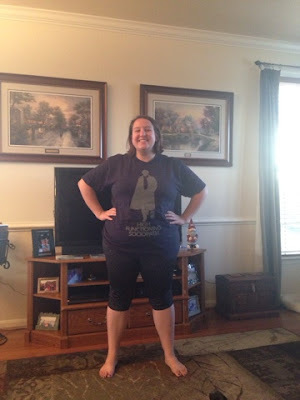 I just have to keep on going, staying committed and persistent and these pictures will get easier to take every week! Right? *Talking about transparency – I have on not even the slightest bit of make-up in that picture. And stretch pants. And my hair is a hot mess. I think I win the award for being transparent – not that it’s necessarily an award I want to win. Oh well, whatever!